There are currently 53,705 users on this website. Purchased this tiny coin at a local coin shop, it had no flip. They just said it was a "Crusader coin." I was hoping someone might be able to narrow it down. 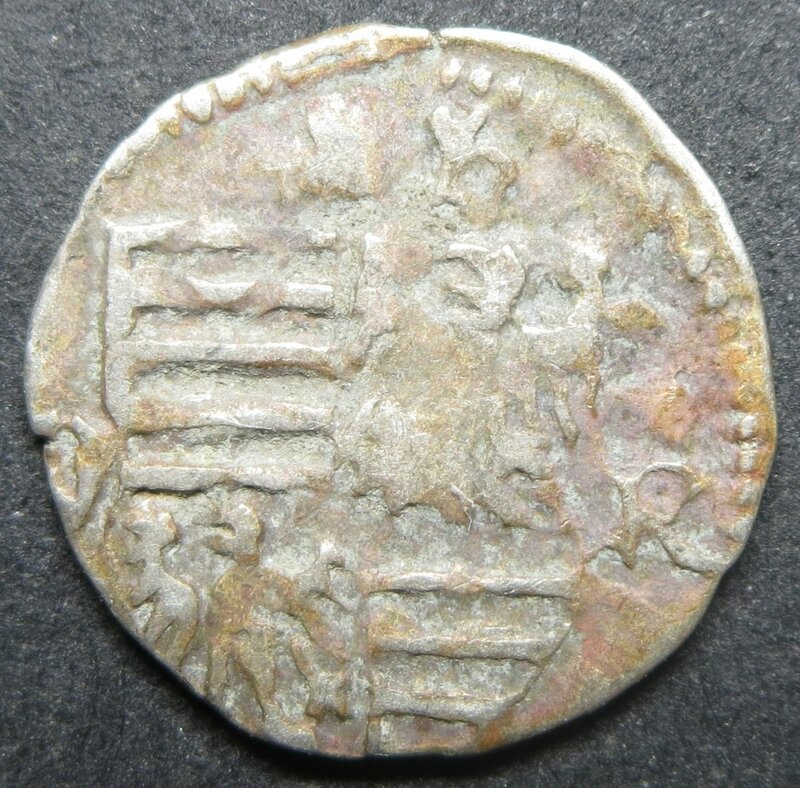 Taking images of this coin was a challenge. 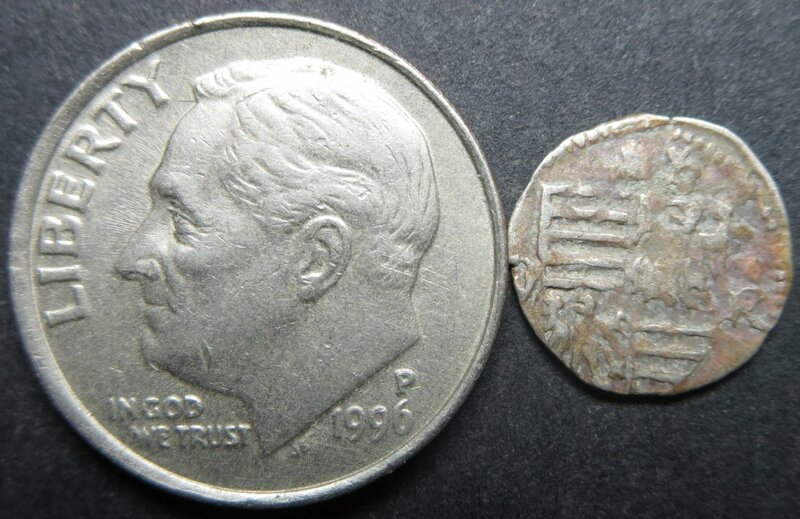 (I have enough trouble with regular sized coins!) On one side there appears to be a shield with two eagles, top left and bottom right on the shield. I took two pictures with different lighting to try and highlight them. Alas, it's not "crusader", unless one takes an extremely generous definition of that word. 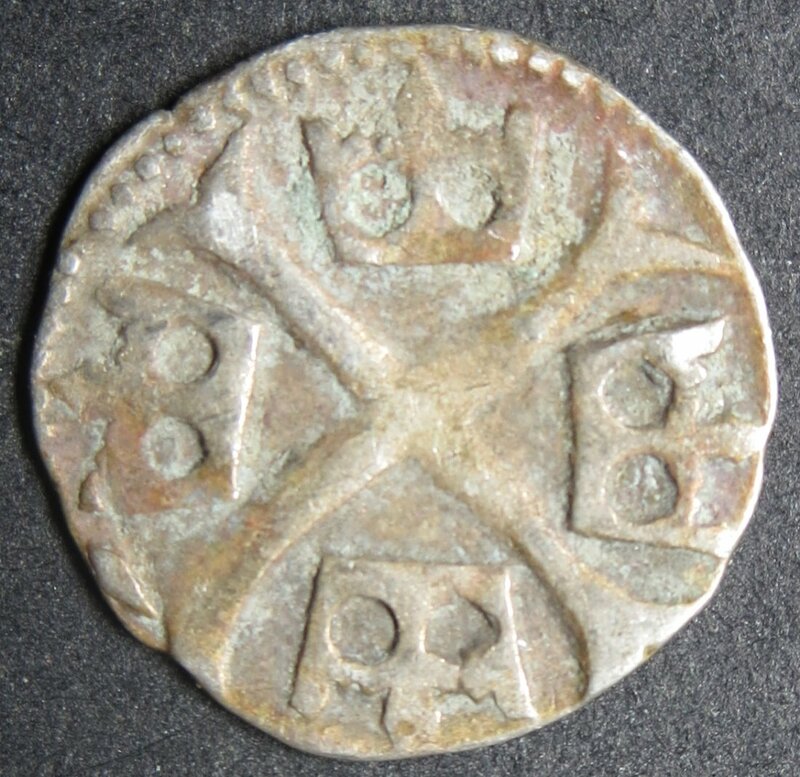 Your coin is a silver obol, or half-denar, of the Kingdom of Hungary; I believe this "four-crowns-in-a-crooss" design is unique to King Sigismund I, who reigned in Hungary 1387-1437 - which is nearly a century after "The Crusades" ended in the Middle East in 1291. 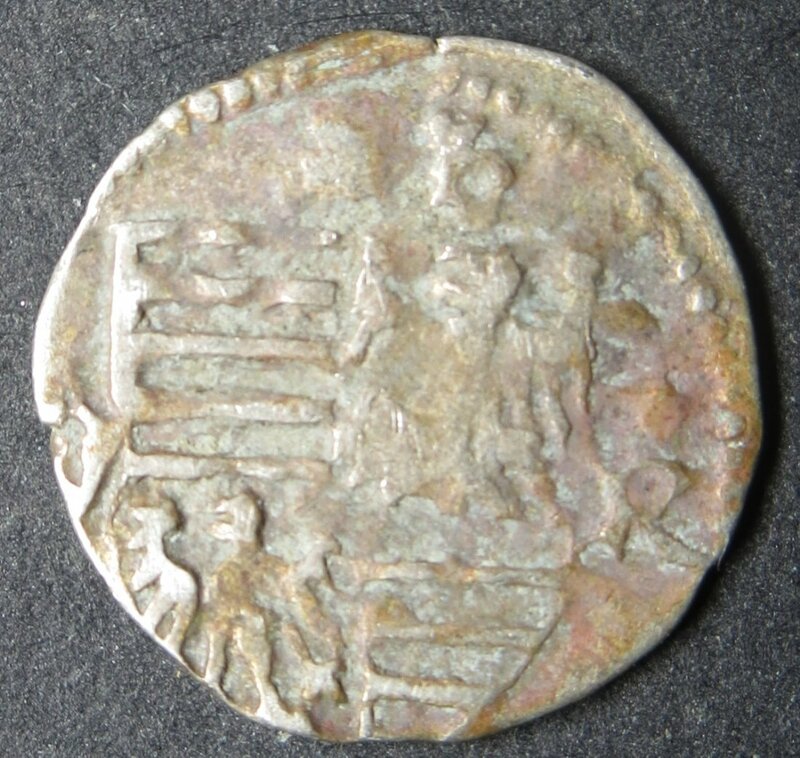 He was, however, king of Bohemia during the beginning of the Hussite Uprising there, against which a grand total of four "Crusades" were declared, the first in 1420 - so only in that sense is this a "Crusader coin". But I agree most medieval collectors would call this Hungarian, not crusader.